Media Monkey Gold is a music manager and jukebox media for serious music collectors and iPod users. It catalogs CDs, OGG, WMA, MPC, FLAC, APE, WAV and MP3 audio files. It seems missing Album Art and track information via Freedb and the web, and includes an intelligent tag editor and an automated file and directory renamer to organize your music library. 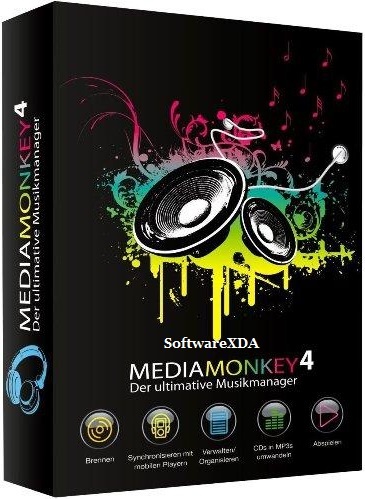 MediaMonkey includes a CD ripper, CD / DVD and audio converter for saving music, and manual or automated playlist editors for creating music mixes. It also synchronizes your mobile music player that allows you to sync songs and lists devices such as iPods and other portable audio devices.